"As combat veterans and high commanders know, logic is often a stranger in wartime." 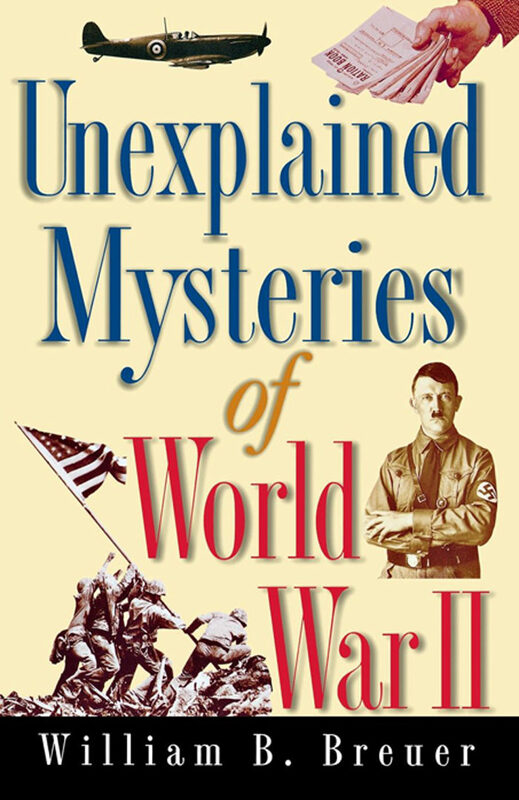 --William B. Breuer, inThe annals of World War II are mined with captivating cases of strange coincidences, ominous premonitions, and baffling mysteries. Now, William Breuer's painstaking research has yielded over 100 fascinating historical accounts, including:The mysterious fire on the Normandie . . . Who really was behind the eerily efficient destruction of the famed ocean liner?The ominous "Deadly Double" advertisement in The New Yorker . . . Was it a coded leak to Japanese and German spies announcing the upcoming bombing of Pearl Harbor?The botched Nazi kidnapping of the Duke of Windsor . . . How did a serendipitous series of events save the duke from Hitler's grasp (and the Allied forces from a crippling strategic setback)?The curious sinking of the Tang. . . How did this deadliest of U.S. submarines come to meet such an unexpected and mysterious end? "Anyone interested in twists of fate should find this book fascinating." --Library Journal"While away a few hours or spend a few minutes at a time enjoying this collection of inexplicable, mysterious, and strange tales." --Nashville Banner. Otros ebooks de William B. Breuer.